Why Federal and State Agencies are Considering Converting from a “Gallons Consumed” to a “Road Usage” Tax – And What are the Risks to the Consumer? 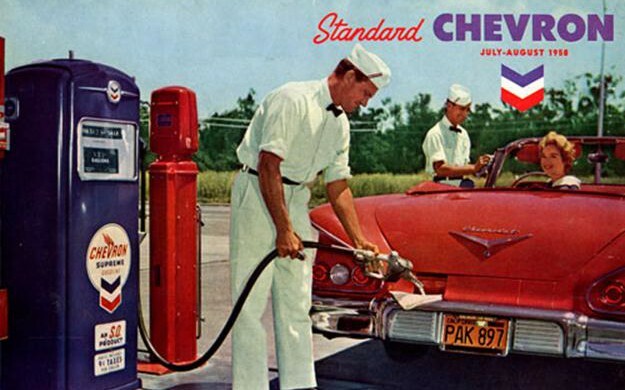 Many states and the federal government are seriously considering converting from a “gallons consumed” tax levy to a “miles driven” program for determining gasoline tax. There are several compelling reasons for such a change. First, our roads are falling apart while revenue from current highway taxes fall woefully short of our current and projected needs. In the meantime, the number of miles driven by all-electric cars that pay no gas tax, is increasing rapidly; and by hybrids that pay substantially reduced tax; and worse for the taxing authorities, by increasingly efficient gas-powered cars. All of this means rapidly dropping gas tax revenues. Seeing this trend, local, state and the federal governments are making a major push to convert from a consumption based tax to a “miles driven” tax. This a good thing for those of us that believe increased investment in our transportation infrastructure is of high national concern. The easiest means of employing a “miles driven” tax is through the use of wireless communication between the car’s odometer and the station’s system for calculating gallons pumped. Service station systems calculate information about your use of gas: gallons pumped; price per gallon; total amount charged; and taxes owed. All of this information is collected and maintained within a closed system. The question is whether a system can be developed that guarantees equal security if the communications are between the car’s odometer and the providers previously “closed” system and what benefits and risks would arise from the employment of such systems. My most recent blog post, Forget Uber for a Moment. The Real Danger on the Road (and Elswhere) May be Remote Hijacking, focused on the risks posed to our infrastructure by hacking of our electronic systems. My message was that all electronic components that communicate wirelessly from mobile devices to business systems (Enterprise Software) are vulnerable to being hacked. Two days after my blog post, on July 24, American Motors announced a recall of nearly 1.5 million Jeeps due to their vulnerability to hacking. I mention this to remind us that electronic, mobile communication devices (including internal communication) are vulnerable to hacking. In today’s post, I focus on two questions. First, I address why “connectivity” and “mobility” are so compelling, not just to those in the transportation industry, but to all industries, and for personal users as well. Second, I focus on why it is critically important that we as individuals understand the risks presented by “connectivity” and “mobility,” both to our national infrastructure security but to our personal security as well. “Connectivity,” means the ability to communicate from one electronic device to another. Connected devices have been around a long time in hardwired form. But with “Mobility” comes the requirement for wireless transmissions. “Mobility,” in the context of this post, means the ability to communicate data “wirelessly” between two or more electronic devices. The mobile device may be remote, as in off premises, or within the same building, or in your car so long as it is connected wirelessly. With respect to this post, we are concerned with security issues posed when financial transactions are conducted through wireless communications operating between two or more independent systems. At the end of the day, the ability to securely communicate with the provider of the gas, the car’s odometer and the billing agent is a make or break issue for such technology. First, the good. Driverless cars run on our streets and highways daily. Tests have proven that technology driven decisions are far safer than decisions made by human controlled vehicles and can reduce gas consumption by nearly 90%. Connectivity will also provide transportation agencies with powerful tools to shape transportation policy to promote good driver behavior by incentivizing speed control, pacing, proper spacing for speed and conditions, proper maintenance, carpooling and other ride sharing programs. The better you drive, the greater your tax discount! But, the taxing authority must be able to calculate the tax remotely as the vehicle is being filled. It must be able to calculate the miles driven from the last time gas was purchased to the most recent fill up. No matter the technology, for the alternative tax to work, at some point the vehicle, the taxing authority and the station delivering the gas must be connected. Imagine getting on I-5 “connecting” with a big rig whose driver invites you electronically to join her caravan to L.A., for a slight fee. You get an immediate bonus of increased miles to the gallon due to the drafting effect, and you read your way to L.A. The driver of a “connected” vehicle can be given good driver incentives (good driver = gas tax reduction); while scoff law drivers pay a premium. The “connected” driver can be taxed at a higher rate for driving during peak times or a discount for driving on off hours. While the author thinks mobility and connectivity are good things, if not a great things, there are legitimate reasons to be concerned about associated risks. By far the primary risk arises out the potential loss of security resulting from the use of wireless devices. With wireless systems, the potential for hacking is always present, especially when connected to consumer devices. This is why for the most part the Enterprise Market (the computing systems that run the world’s business) will not allow mobile, wireless connections to connect with their servers. Guess what! The modern car is filled with electronic devices, communicating internally and remotely “wirelessly.” And, guess what else! Both internal and external wireless communications are vulnerable to remote hacking. For these reasons, a miles driven tax will be challenging endeavor. Unfortunately, gas stations too are turning to wireless communication, and in the process, getting hacked. Overcoming security issues will take a major investment both in technology and in knowledgeable software engineers. Otherwise, it is highly unlikely that the owner of an Enterprise System will accept the risk that a pirated remote device may take down its worldwide business. But privacy is not the only, or even the greatest concern. Think about a malicious hacker who gains entry to your vehicles electronic system from a hacked filling station pump taking control of your car. As discussed in my prior post, there is a lot of work to be done before these security issues can be set aside, as even a “privacy” switch can be hacked once entry to the system has been breached. Once inside, the “bug” can operate remotely in many malicious ways. I am not advocating that we abandon connectivity, too late anyway. I am suggesting that we must be mindful of the significant risks presented by even limited connectivity, within all of our critical industries. Connectivity and Mobility are an increasing part of our lives. As with all great technology, both progress and compromise comes at a price. It remains to be seen how this act will play out.